With this coupon. Services valued at $415. Offer subject to change and cannot be used in conjunction with any other offers. Expires 7-31-17. THE CAPTIVATING RC F SPORT Engineered for maximum power and precision handling, the RC Turbo, RC 300 and RC 350 F SPORT models were wrapped in a dynamically contoured body to grab your attention at every turn. Its wide stance and low profile deliver increased stability, and 19-inch alloy wheels1 complete its aggressive look. Under the hood, it boasts an available 306-horsepower,2 3.5-liter V6 engine paired with an eight-speed sequential paddle-shift transmission (RWD). And inside the cockpit, an available LFA-inspired gauge cluster keeps you informed, while deeply bolstered front sport seats keep you firmly planted through the curves. The RC F SPORT from Lexus. Once driven, thereâ&#x20AC;&#x2122;s no going back. APP TO ORDER TICKETS FROM YOUR SEAT! 10	Travis Wall’s Shaping Sound: After the Curtain June 14 | 8 p.m.
12	Dr. Neil DeGrasse Tyson: The Cosmic Perspective June 15 | 7:30 p.m.
14	DanTDM On Tour June 16 | 7 p.m.
June 23 | 8 p.m.
18	A.D. Smith presents Uncle Curly’s Classroom the Stage Play July 8 | 2 and 7:30 p.m.
20	#Imomsohard July 25 | 8 p.m.
American Media Products Inc. 8920 Eves Road, #769479 Roswell, GA 30076 Phone 678.837.4004 Fax 678.837.4066 Copyright 2017 AMP Inc. All rights reserved. Reproduction in whole or in part is strictly prohibited. Encore Atlanta is a registered publication of AMP Inc. The publisher shall not be liable for failure to publish an ad, for typographical errors or errors in publication. Publisher reserves the right to refuse any advertising for any reason and to alter advertising copy or graphics deemed unacceptable for publication. The Cobb Energy Performing Arts Centre includes a range of facilities — the 2,750-seat John A. Williams Theatre, the 10,000 sq. ft. Kessel D. Stelling Jr. Ballroom, a Terrace space, 1,000 parking spaces and fullservice food-and-beverage capabilities. Other pluses: easy access and a beautiful, functional interior. A SALUTE TO THE PIONEERS These six Cobb Energy Centre staff members have been with the venue for 10 years: • Beryl Bernier, receptionist Cobb Energy Centre runs with the help of nearly 500 volunteers, often the first people patrons encounter when they walk in the doors. The unpaid jobs require quick thinking and first-rate customer service. 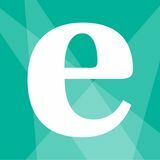 Shaping Sound | June 14, 2017, 8 p.m.
SCAN THIS SYMBOL WITH THE E+ APP TO BUY TICKETS! In Dance Reimagined, the music featured individuals songs by several artists. For After the Curtain, all the music was created by Ryan Lott of the pop/rock/rap band Son Lux. “Shaping Sound has a lot to teach about where dance is going in the 21st century,” says Canada’s Calgary Herald, “and often with stunning originality.” Dance Magazine calls Shaping Sound “fierce, volcanic and eclectic,” while BroadwayWorld.com calls its performances “electrifying and stunning.” Wall and his co-founders first grabbed the public eye as four young dancers on the reality-TV series All the Right Moves. The Oxygen channel show followed them as they tried to create and launch their dance company. Since then, they’ve been showcased on prime-time dance, awards, entertainment and music shows, including “So You Think You Can Dance,” “Dancing With the Stars,” “Glee” and the 2013 Primetime Emmy Awards. They were featured in Carrie Underwood’s Grammy Award-winning music video “Something in the Water,” and are frequent guests on TV talk shows. comedians as well as jazz, pop, country, classic rock and R&B artists, and acts that are harder to categorize. It’s comparable to downtown Atlanta’s Tabernacle in size but is fully seated. 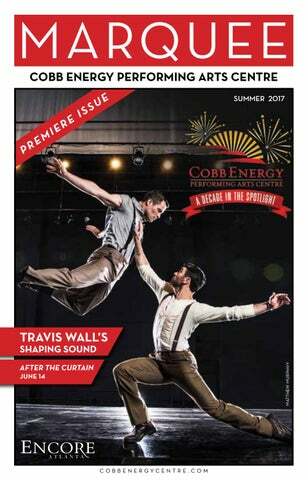 Summer season performances at Cobb Energy Centre feature Travis Wall’s Shaping Sound, After the Curtain; and astrophysicist Neil deGrasse Tyson, Ph.D.; YouTube sensation and Minecraft expert DanTDM; jazz vocalists Gregory Porter and Kandace Springs; the merry mayhem of Uncle Curly’s Classroom the Stage Play; the comedy duo #Imomsohard; and more. This holiday season, visit the Cobb Energy Centre for the Alliance Theatre’s annual A Christmas Carol, a new site this year while the Midtown Atlanta space is renovated. Atlanta Ballet returns in February 2018 with Don Quixote, with music by Ludwig Minkus and choreography by Yuri Possokhov. The Atlanta Opera returns in November with Wagner’s The Flying Dutchman. Dr. Neil DeGrasse Tyson | June 15, 2017, 7:30 p.m.
eil deGrasse Tyson, Ph.D., is an American astrophysicist, cosmologist, author and science communicator, sharing his knowledge in a congenial and entertaining way. He is a tour guide, too, using the ship of the imagination to take us on unexpected journeys. He’s led us inside the nucleus of an atom and to the farthest reaches of the universe — all in an exciting, approachable way — inviting us to join him as he explores humankind’s quest for understanding. In “The Cosmic Perspective,” Dr. Tyson talks about seeing Earth as a planet in a vast empty universe and how doing so influences what we think and feel about science, culture, politics and life itself. The family-friendly event features a multimedia presentation that brings the far reaches of modern science to audience members, and then engages them in a question-and-answer session. In previous sessions, Tyson has been asked about his everything from his TV appearances and space elevators to parenting. 700 in a four-level deck and 300 more in a surface lot. Valet parking is available for The Atlanta Opera and Atlanta Ballet only. $10 day of park fee/$12 pre-pay option/$15 valet (cash or credit card). Restrooms: Restrooms are located on house right and house left of all three lobbies. Family restrooms are also located on house right of all three lobbies. Mobilityimpaired patrons may use any of our restrooms. Smoking: Smoking is prohibited inside the building. Please use the terrace exit to step outside and smoke. Special Assistance: Persons requiring access assistance are asked to contact the box office at 770-916-2850 for advance arrangements. Audio clarification devices are available to our hearing-impaired guests at no charge. This is on a first come–first served basis. A limited number of booster seats are also available. Wheelchairs are available upon request. All items require a form of identification to be held until the item is returned. COBB ENERGY CENTRE REQUESTS: • All patrons, regardless of age, must have a ticket in order to be admitted to the performance. Please be aware that not all events are suitable for children. Infants will not be admitted to adult programs. Parents will be asked to remove children who create a disturbance. • Please turn off all cell phones prior to the beginning of each performance. Please limit conversation during the performance. • Audio & video recording devices are strictly prohibited at all times. • Leaving while the show is in progress is discourteous, and we ask that you refrain from doing so. • Please unwrap all candies and cough drops before the performance. • We know that patrons make every effort to be on time for events out of respect for the performers and other theatergoers; however, there are times when traffic or weather problems cause late arrivals. Latecomers may watch the beginning of a show on flat-screen TVs in our lobby until the theatre has re-opened to allow guests into the auditorium. In addition, touring companies set the policy for allowing those who arrive past curtain time into the theatre. We ask those patrons to wait until the approved time to re-open the theatre doors. Please plan ahead to arrive early and relax before the performance begins. DanTDM | June 16, 2017, 7 p.m.
HALF-OFF WINE BOTTLE SUNDAYS Join us Sundays for half-priced bottles of wine! Choose from our extensive wine list and toast to a weekend well spent. Treat yourself! Gregory Porter with Kandace Springs | June 23, 2017, 8 p.m.
Join us before or after the show. Uncle Curly’s Classroom the Stage Play | July 8, 2017, 2 and 7:30 p.m.
A.D. SMITH PRESENTS UNCLE CURLY’S CLASSROOM THE STAGE PLAY! FRESH, SEASONAL FOOD IN VININGS VILLAGE Join us before or after the show! Theater menu available. #Imomsohard | July 25, 2017, 8 p.m.
675,000 Facebook fans, and more than 55 million views of their web series, Jen and Kristin’s blend of honesty and humor offer the kinds of levity most of us only get from our therapist, proving that if we weren’t all laughing, we’d be crying, right? Right!? Sure to deliver the kind of straight talk you can only get from discussing body hair in the kids’ playroom while sipping mimosas, Kristin and Jen prove you can’t make this sh*t up. It’s like an evening with two of your besties. But funnier. And probably with more drinking. Definitely more drinking. and literature,” says Natalie Barrow, ArtsBridge’s director of education and community outreach. No one is left behind either: ArtsBridge offers financial aid to schools for both tickets and transportation. FAMILY SERIES In 2016, ArtsBridge introduced its Family Performance Series, intended to introduce youngsters and their families to live theater. The shows last about an hour and often feature characters familiar from such animated TV shows as “Wild Kratts” (PBS) and “Octonauts” (Disney Junior). PROFESSIONAL DEVELOPMENT The three-day-long Director’s Bootcamp, which began in 2016, happens each June for K-12 educators. It’s led by such industry professionals as Atlanta-based Tony Award winner Shuler Hensley. The bootcamps offer in-depth workshops in musical theater production and count as a professional learning PLU credits. Field trips are just one part of the ArtsBridge Foundation’s education mission. “We work with teachers to tie performances into their curricula, including science, math, social studies and literature,” says Natalie Barrow, ArtsBridge’s director of education and community outreach. onstage, backstage and in the audience with a simple goal in mind: planting seeds so that the live-performance experience can create future audiences, future arts professionals and everyday folks who turn to creativity in their daily lives. is true whether the liveperformance seed yields future audiences, arts professionals or everyday folks who use creativity to think outside whatever boxes they encounter. :: For more, please visit artsbridgega.org. GEORGIAâ&#x20AC;&#x2122;S YOUTH THROUGH THE ARTS. ArtsBridge Foundation, the non-profit arm of the Cobb Energy Performing Arts Centre, provides quality arts education and community engagement programming designed to inspire creativity and foster the next generation of artists and arts supporters. Since its inception in 2007, ArtsBridge has served over 300,000 students and educators from 57 Georgia counties and neighboring southeast states through Field Trips, Master Classes, Family Series, the Georgia High School Musical Theatre Awards, Professional Development, and other educational opportunities. Call (770) 916-2805 or email education@cobbenergycentre.com for more information about these programs. DONATE TODAY! Visit us at ArtsBridgeGA.org to find out how you can support arts education at Cobb Energy Centre. Stay tuned to ArtsBridgeGA.org for our Field Trip and Family Series season announcement! MASTER CLASSES Giving students the opportunity to train with professionals. August 19, 2017 Fine arts educators and community directors are invited to attend workshops led by industry professionals in topics such as set design, sound design, lighting June 6-8, 2017 design, costume design, 10:00 a.m. - 3:00 p.m. and direction. Registration for the 2017-18 Shuler Program begins August 2, 2017! Celebrating excellence in high school musical theatre. Preparing aspiring performers and visual artists for further training. Breast Cancer Surg ery with minimal, hid den scarring? It’s available right he re at WellStar, and it’s called Hidden Scar®. Using incisions in inconsp icuous areas, you’ll have little to no visible reminder of your surgery. The only thing that will show is your co nfidence. For more information , call the WellStar Ca ncer Connect Line at 1-87 7-366-6032, optio n 0. Friedewald S, Rafferty E, Rose S, et al. Breast cancer screening using tomosynthesis in combination with digital mammography. JAMA. 2014:311(24):2499-2507. Rose S, Tidwell A, Bujnoch L, et al. Implementation of breast tomosynthesis in a routine screening practice: an observational study. AJR AM J Roentgenol. 2013;200(6):1401-1408.